Returning home after being on holidays to an empty fridge and a wild vegetable garden, I rediscovered a hippy-era favourite — Hunza Pie. 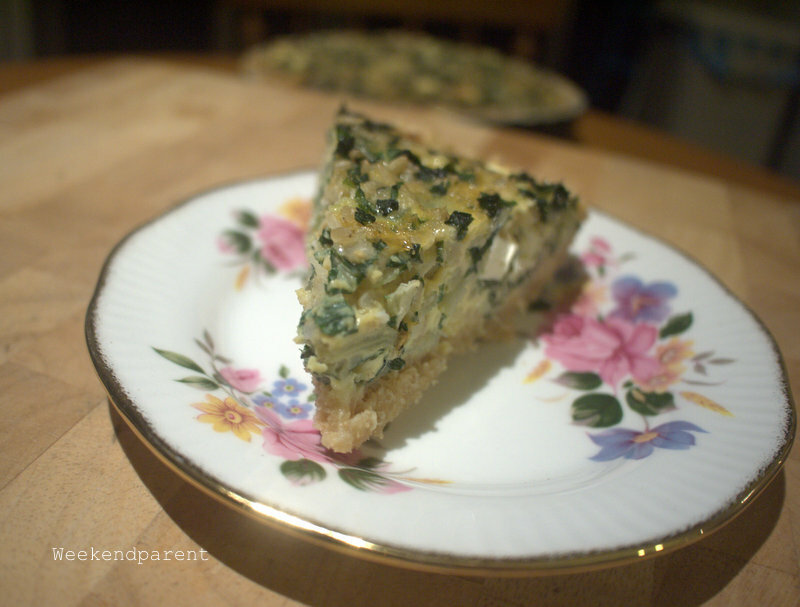 My Auntie Julie (aka Auntie Goolie courtesy of Little A) often used to make Hunza Pie. Growing up, I loved her Hunza Pie (along with pretty much all of her cooking). I vaguely realised that it was healthy, but that didn’t stop me reaching for a second helping. I always assumed that this recipe was Eastern European in origin, because she cooked a lot of Macedonian/Greek inspired recipes learnt through her Macedonian in-laws. And in fact some recipes claim the recipe is Hungarian. But it is I believe a 1970s staple, inspired by (but not typical of) the diet of the Hunzakut people in northern Pakistan. Nowadays, the amount of butter in the base would not be considered ‘healthy’. 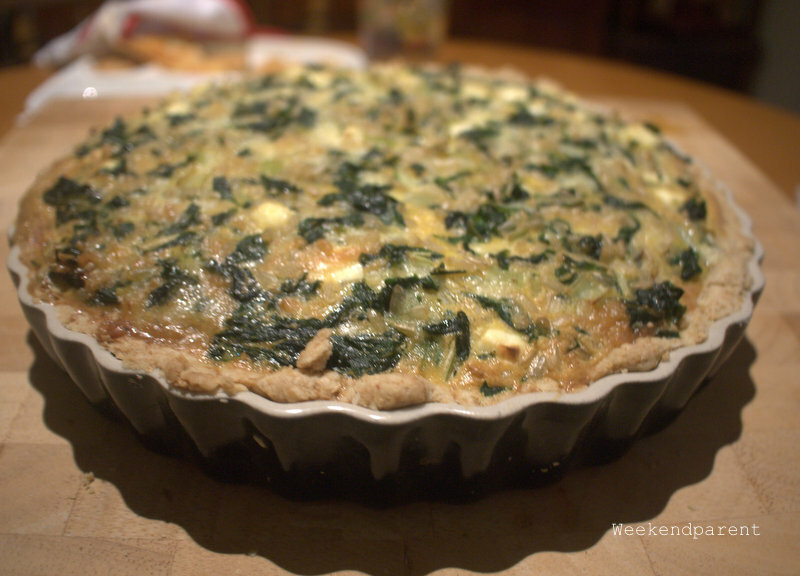 You could substitute something like coconut butter, or else just omit the crust completely — I have made it crustless and it sets beautifully like a frittata (although I do like a good short crust pastry.) You could also substitute fancier whole grains such as quinoa or spelt. But I like the nutty flavour of brown rice. Less than perfect silverbeet (notice the insect-produced holes). But grown without chemicals. 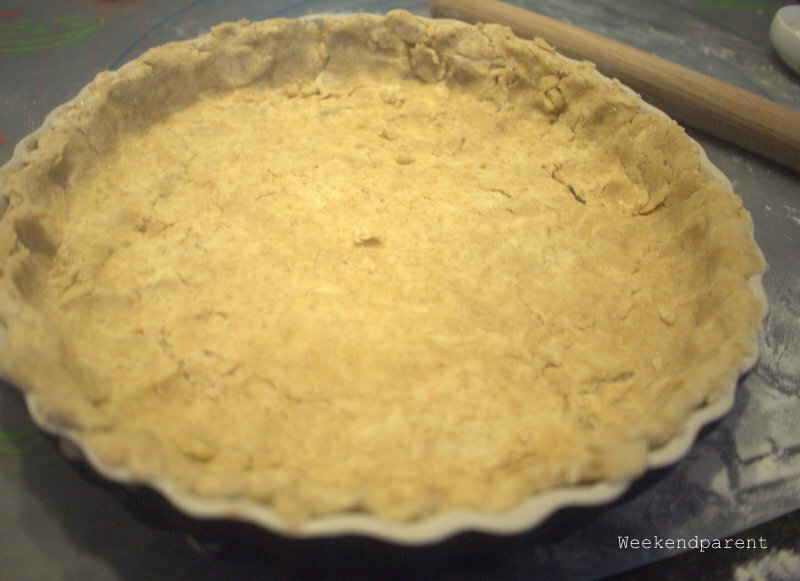 First make the short crust pastry. Place the flour in a bowl, add the unsalted batter and slowly combine with your fingertips until it is like breadcrumbs in appearance. (Alternatively, whizz in a food processor.) Slowly add the water and mix with your hands until it forms a dough. Cover with cling wrap and refrigerate for half an hour or until needed. 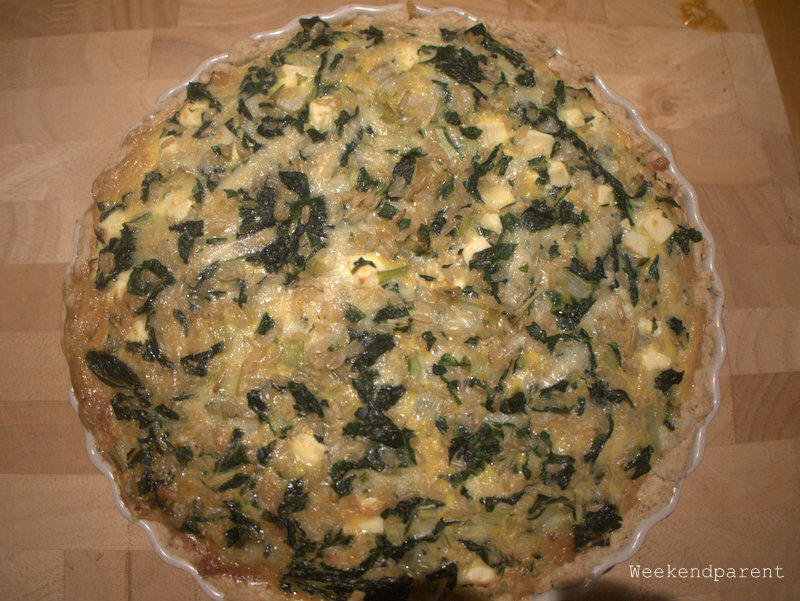 Carefully roll out the dough, and gently place into a quiche or flan dish. I find the wholemeal pastry brittle and hard to handle, but thankfully this is more of homestyle dish so you can always just patch up your mistakes and cover with the mixture (which I what I did). Bake blind (i.e. cover with baking paper and weigh it down with pulses or weights and bake for a few minutes). 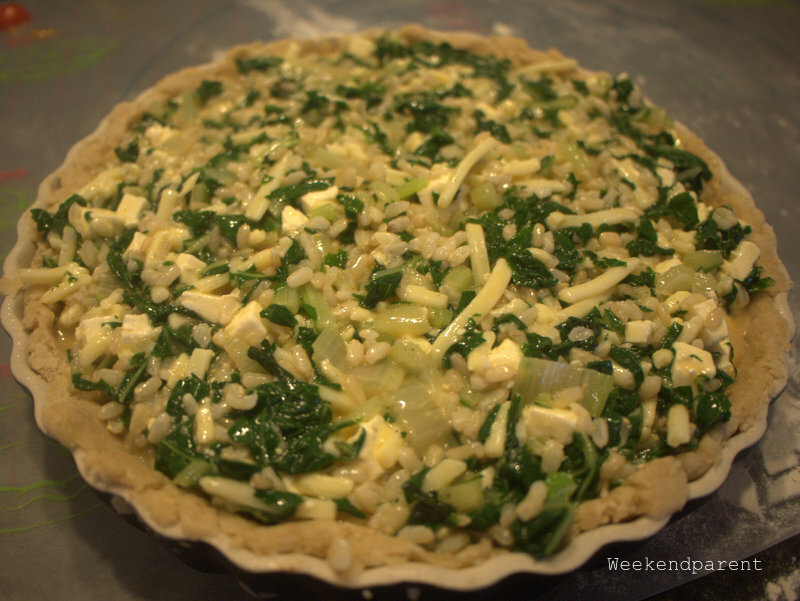 Or do what I did and cheat: roll out the door and put the entire pie dish into the freezer overnight. 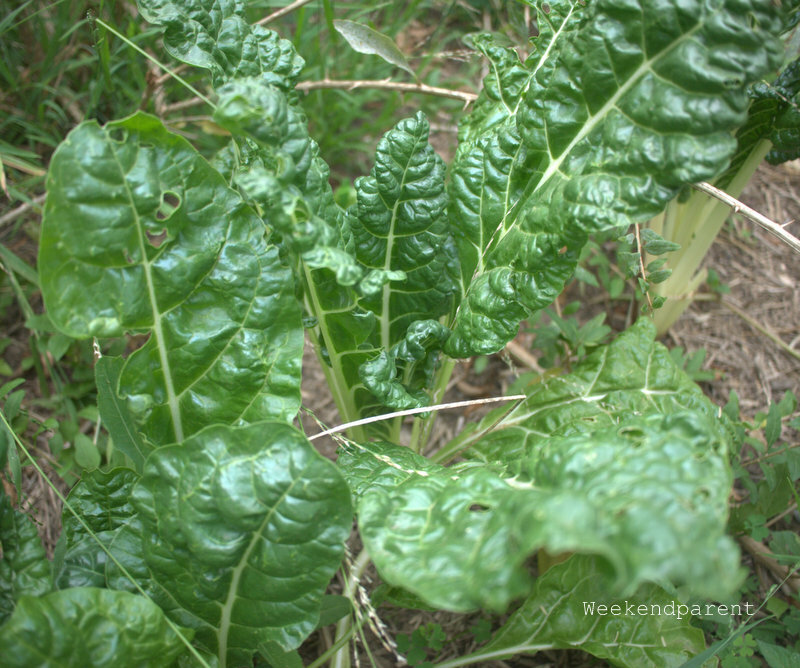 Prepare the silverbeet but separating the stalks from the leaves. Bring a saucepan of water to the boil. 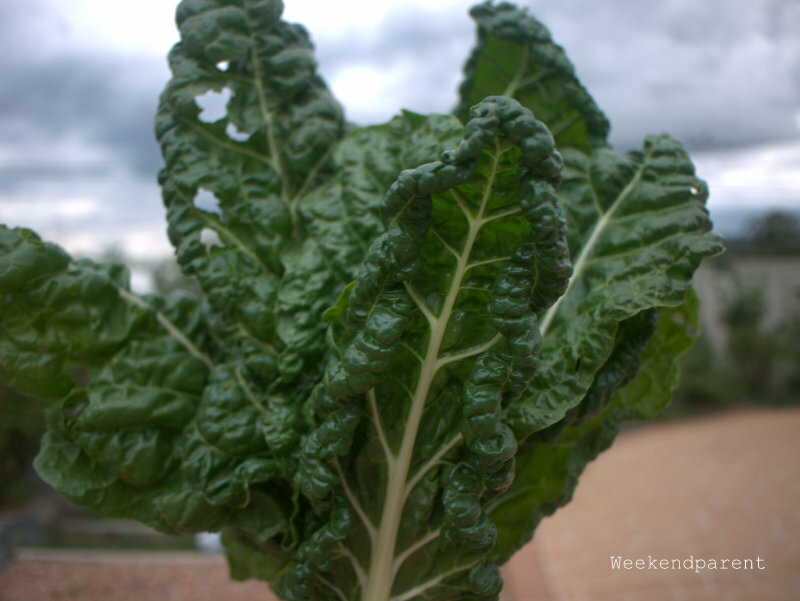 Boil the silverbeet leaves for a few minutes, then add the leaves to wilt them. Remove and place in a bowl of cool water. When sufficiently cool to handle, chop into small pieces. Squeeze out any excess water and put aside. Beat the eggs, add nutmeg and salt and pepper. 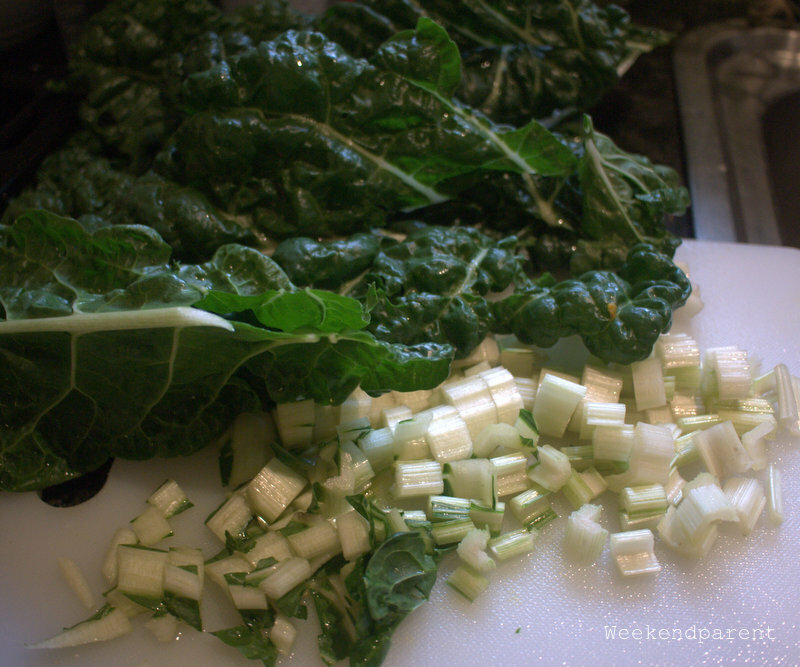 Stir in the cheeses, the silverbeet, rice and any other vegetables (if using). 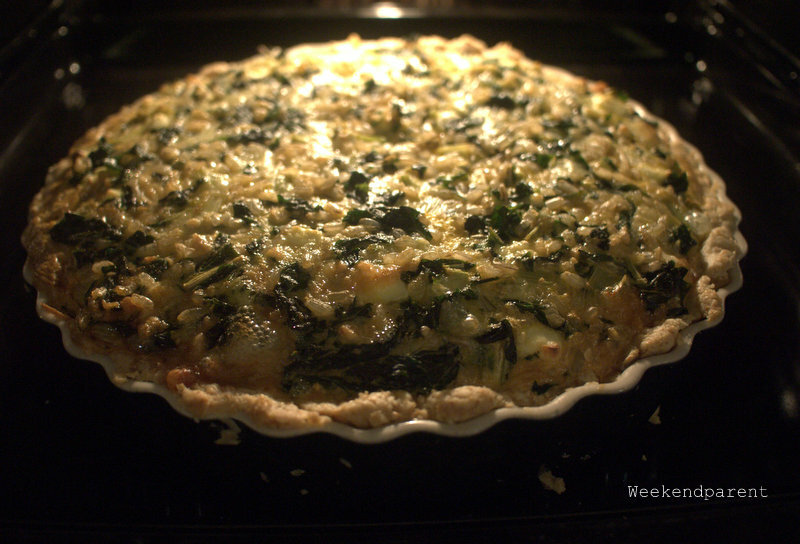 Pour the mixture into the pie dish and bake in a medium hot oven (around 170C) for 20 minutes or until golden on top. Serve while warm and enjoy. ShenANNAgans, from your FB posts it looks like you had an awesome holiday with lots of cheap and generous meals! I’m sure you have lots of travel stories to tell. Simple and delicious… what could be better?!?!?! Oh! A good short crust pastry is definitely TDF. Who can resist that buttery, melt in your mouth texture? Certainly not me – I love shortcrust pastry and strongely enough I actually prefer it made with wholemeal flour.